Living with Giants delves into the imaginative world of Paulusie Kasudluak, a young Inuk facing responsibilities as he transitions into adulthood. The film portrays his thoughts, his dreams, and his beliefs, and allows for an intimate immersion into his life. Paulusie is a caring son to his ailing father and a good boyfriend. But what begins as the story of an innocent teenager quickly becomes the struggle of a young man coping with the guilt of having made a huge mistake. Tragically, Paulusie takes the most dramatic decision and takes his own life. Living with Giants remains a poetic journey of resilience that echoes issues that are far greater than Paulusie’s personal story. None of us would have guessed that this conversation was the beginning of a long and trusting relationship. Paulusie was a proud Inuk and a hunter that provided food for his family, something very few young Inuit still do today. We were amazed by his optimism, his joy, and his ability to find a balance between traditional values and culture and modern life. It’s with Paulusie that we discovered the arctic in its purest and rawest form. Whether consciously or not, he wanted us to capture every nuance that the north had to offer. We insisted on filming the beautiful, the poetic, the magical. But, despite his lively and charismatic personality, he made a point to remind us through his actions and words that his world was not always an easy place. On December 28th, 2014, the project took an unexpected and tragic turn. Paulusie committed suicide. Such a tragedy left everyone in pain and confusion. How could this happen? The grieving process took time, but it was reassuring to know that his entire family and community support our efforts to make a film that would honour Paulusie. At this point, the project became more than a film. It now carries weight and social responsibility. Intimate stories like Paulusie’s are difficult to tell, but they help us better grasp the beauty, the subtleties, and the complexities of life for today’s aboriginal youth, as well as the intricacies of the human experience. Paulusie will not have died in vain. The energy and love he put into his 20 years on Earth will live on. Through his charm and his ability to draw people from all walks of life into his story, Paulusie in his own way has become a legend. Sébastien Rist and Aude Leroux-Lévesque are colleagues and partners in life. In 2009, they moved to Bangladesh to shoot their first documentary, Call Me Salma. The film aired on Direct 8, ARTE, EBS Korea, and screened at over a dozen film festivals. 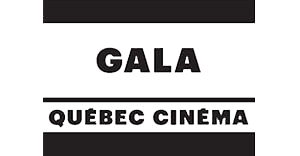 In 2012, Sébastien directed the documentary Vue d’en Haut, which premiered at the Dijon Adventure Film Festival and was televised on SRC Explora TV and APTN. Through the years, they have produced documentaries for a wide variety of NGOs, charity organizations, and Canadian Aboriginal groups. In 2016, Kelly Fraser, North Star, was release on the French VOD channel Spicee.com. 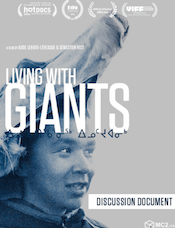 Living with Giants, a documentary set in Canada’s arctic, was filmed over the course of two years and is their first feature-length film. Jean-Simon began his career in advertising. After having traveled as a wannabe journalist through Latin America and Southeast Asia, he decided to pursue his love of documentary filmmaking, founding MC2 Communication Media. 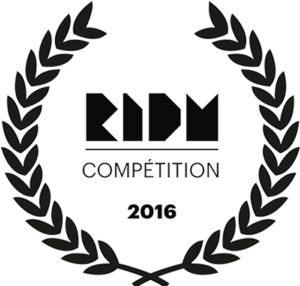 Over the past few years, Jean-Simon has produced documentaries (independent and series) in partnership with several broadcasters in Canada and abroad, as well as many wide-reaching collaborative web projects. 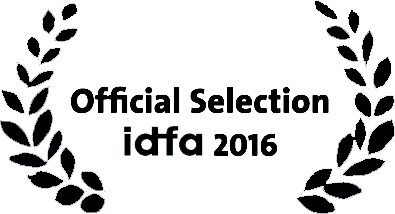 Several award-winning documentaries produced by MC2 have been released in cinemas and featured in festivals such as IDFA, Hot Docs, DOK.fest, RIDM. 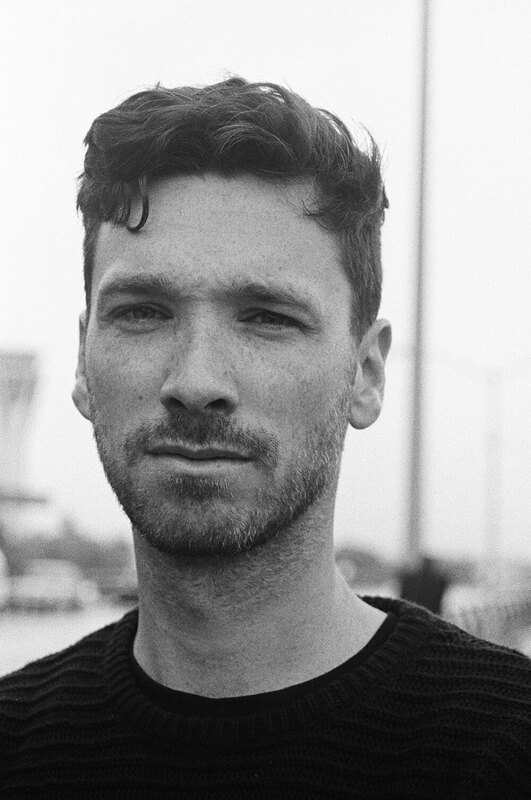 After completing his studies in sociology and anthropology at University of Montreal, René Roberge starts directing his own movies (Inlandsis, Videographe Vu et Par, Ode 1:23:09, Magnetic Memories, The Odyssey of Memory) and collaborating on a large number of film and video productions as an editor. Since 1995, he has devoted himself solely to editing. A dozen of the movies on which René has worked won significant awards. Isabelle has been working in film and television for almost twenty years. 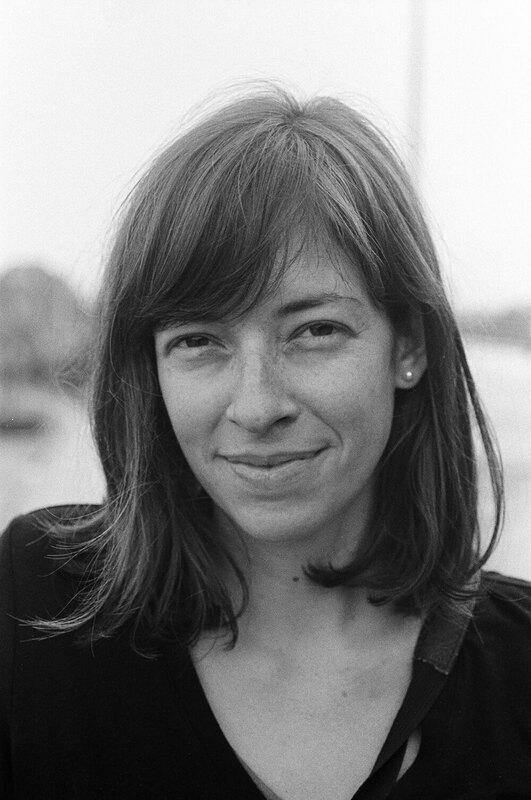 She has worked on a wide variety of projects: short and feature films, series, new media productions with a predilection for documentary films. As a producer, she accompanies creators to bring captivating, moving and illuminating stories to the screen. Beatrice Deer is a Canadian Inuk singer from Quaqtaq, Quebec. She released her debut album, Just Bea, in 2005, and won a Canadian Aboriginal Music Award for Best Inuit/Cultural Album. Deseray is a student at Dawson College, Montréal and an accomplished athlete, she has won a gold medal and two silver medals at the 2016 Arctic Games in the triple jump at the Arctic Games. In addition to that she came in second in the arm pull and in the one leg high jump. Download the discussion guide and contact us to organize an institutional screening at info(@)mc2.ca.